Home / brand new / música / The Pale White / The Pale White release new single "Downer"
The Pale White release new single "Downer"
Emerging Newcastle trio The Pale White have unveiled their brand new single Downer, out now through Ignition 45's. Produced by John Martindale and the band at Blank Studios, Downer is a rousing, thunderous indie-rock track that goes straight for the jugular. This is what I love about them: killer guitar works and just that groovy rock vibe! Stream it below! 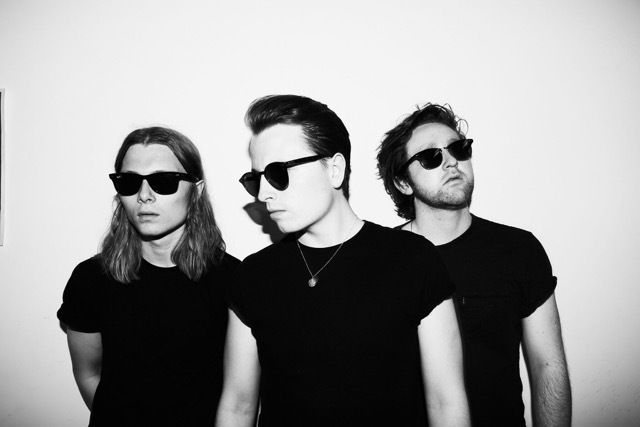 The emerging Newcastle trio are the lads to propel rock music back to the summit. When they adopted the name The Pale White last year - which "alludes to the bright light people claim to see before they die" - everything fell into place. Born and raised in the North East, the trio are proud of their origins, but are beginning to see the bigger picture. Being from somewhere like this is more important than being a small fish in a big pond. We've got the potential to break out of the city where no one's done anything for a while.